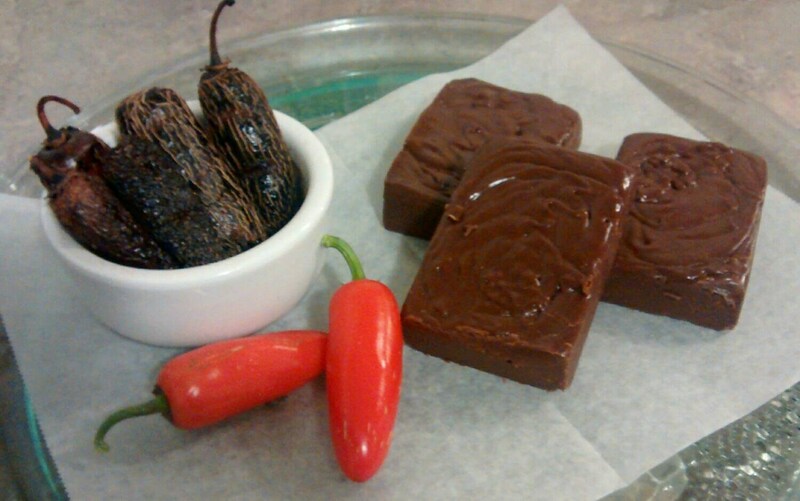 Spicy Chipotle Java Lava Fudge is a rich and creamy fudge with a hint of coffee and a touch smoked chipotles from our own farm to create a flavor that no one else can match. Perfect for Valentine's, Christmas, or Father's Day. 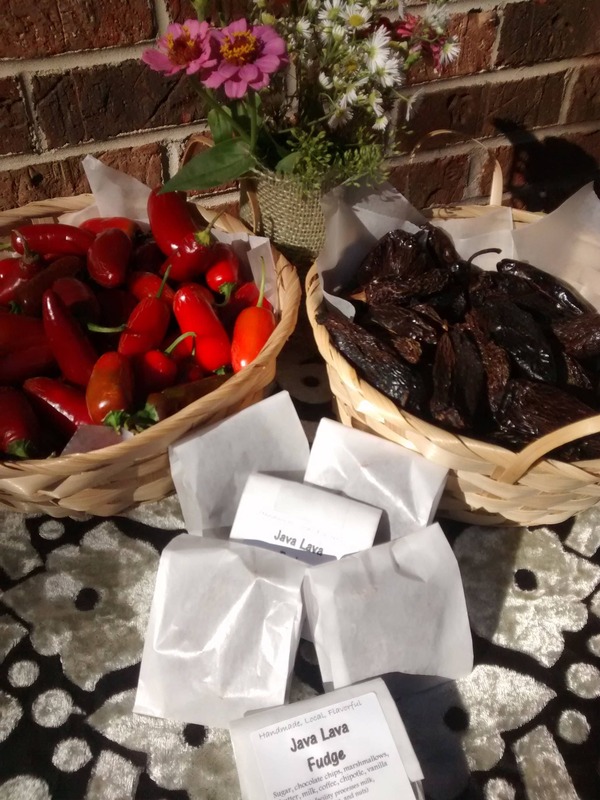 The individually wrapped bars make a great gift or a sinfully good indulgence for yourself. Give them as party favors or even wedding gifts. Our delicate and creamy homemade fudge is made to order in our on-farm kitchen. 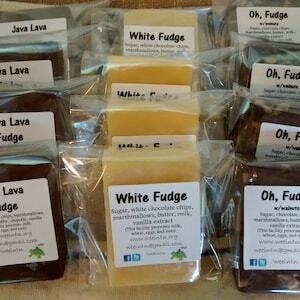 Our fudge does not contain added preservatives. 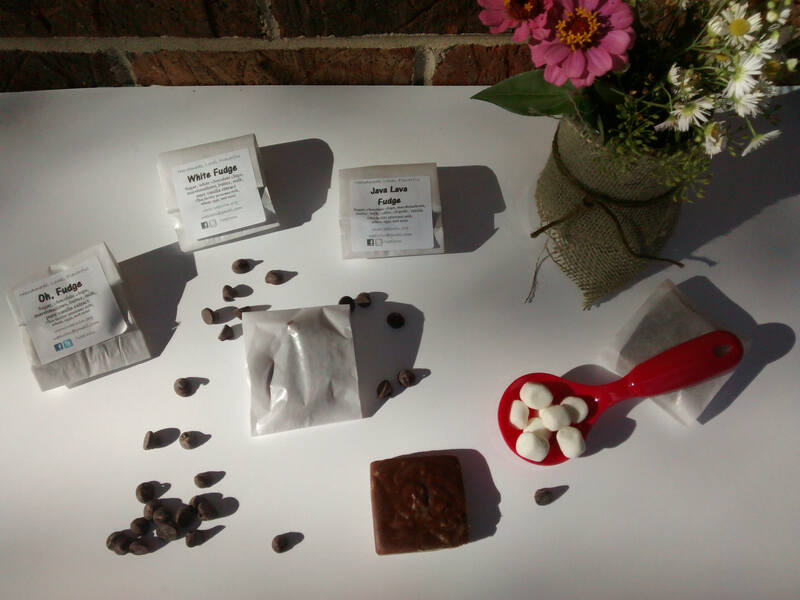 1/2 lb orders are for 2: 1/4 lb bars (USPS First Class Shipping). 1 Ib orders are for a 1lb slab or 4: 1/4 lb bars (USPS Priority Shipping). 2 lb orders are for a 2lb slab or 8: 1/4 lb bars (USPS Priority Shipping). 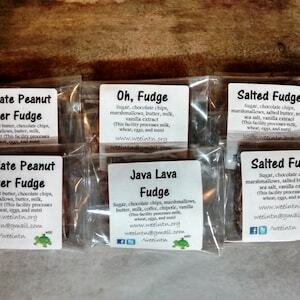 3 lb orders are for 12: 1/4 lb bars (USPS Priority Shipping). 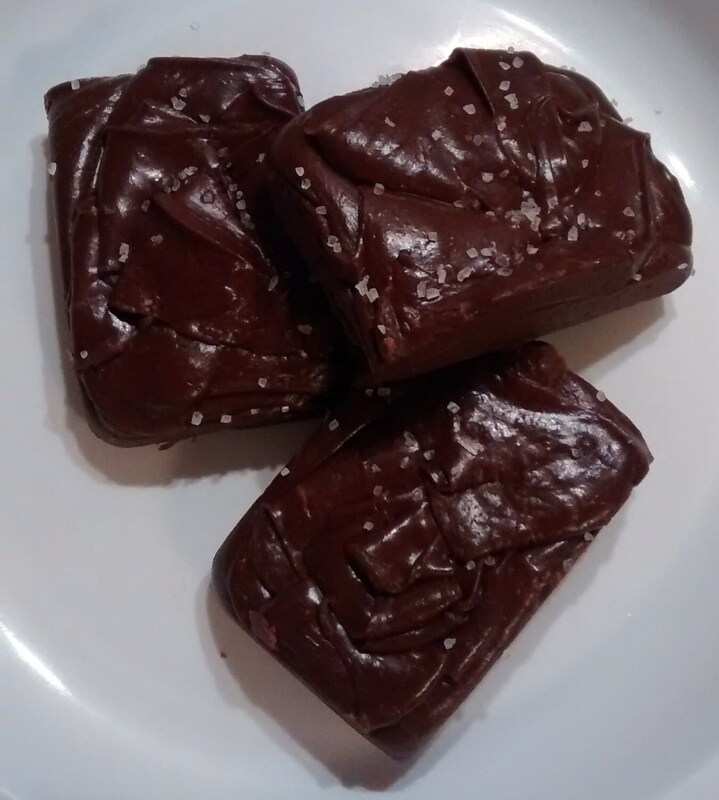 4 lb orders are for 16: 1/4 lb bars (USPS Priority Shipping). 5 lb orders are for 20: 1/4 lb bars (USPS Priority Shipping). 6 lb orders are for 24: 1/4 lb bars (USPS Priority Shipping). Weights are approximate and may vary slightly. Ask us about custom orders. 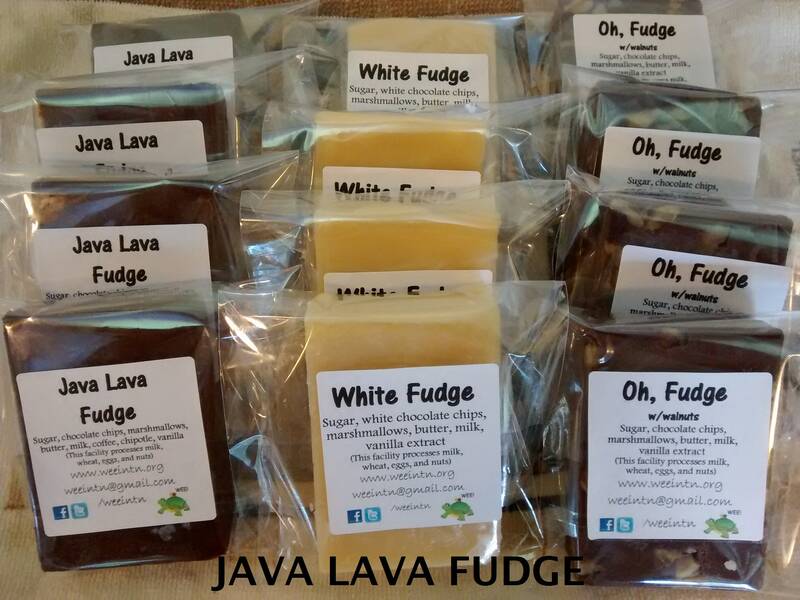 Fudge may melt during shipping, if so pop in your refrigerator for a few hours to firm back up. Allergy warning: Please note that our baked goods are made in a licensed commercial kitchen containing known food allergens, including, but not limited to: wheat, eggs, milk, soy, peanuts, and tree nuts. Our kitchen is certified and inspected by the TN Department of Agriculture. All items are made in Tennessee. We are certified HACCP and listed with Pick Tennessee Products. Please email us or check out our website with any questions. Please send us a conversation for a shipping quote on multiple items. Depending on items and your location it may be cheaper than the amount shown in your cart. Domestic Shipping is primarily done via USPS Priority Mail. With Insurance and Tracking Included unless noted. MOST Items ship within 3 business days. Custom pieces or seasonal items may require longer processing times, we will notify you if this is the case. Please note that priority mail is NOT guaranteed 2 day shipping. Most priority mail items reach there destinations in 2-5 days. During peak holiday times items may be delayed. If you need a guaranteed ship date please convo before order is placed. We can not guarantee a ship date left in notes to seller section. Larger Items may be shipped via FedEx, UPS, or USPS depending on items priority level, size, weight, and level of fragility. If you prefer another shipping carrier please contact me and I would be happy to use them for an additional fee. We process refunds as quickly as possible to achieve 100% satisfaction. WEE will cancel your order and issue a full refund providing your item has not shipped. If your item has shipped and you would like to cancel the order, non-food items will be issued less shipping upon receipt of returned item. Food item refunds will handled on a case by case basis. - Orders lost, damaged or broken in shipment will be Refunded or Replaced on a case by case basis. - Please notify us immediately if your order does not arrive intact or in a timely manner and we will rectify. -If it is an error on my end, I apologize in advance. With any mistake made by me, I will be glad to send you a replacement. If you're not sure what to do, please send us a conversation and we will do everything we can to help resolve the situation. We want all of our customers to be happy! Please let us know if your are not completely satisfied with your order. We will do our best to make sure that you are completely satisfied. Please contact with any questions. This is such a beautifully packaged gift box!! Love all the different jam and that fudge..i will be back for more! Thank you great flavors! !